Beautiful and very well maintained Bow Rider. With Regal's patented Fasdeck hull and seating for 8 this is the perfect family boat. Powered by the always dependable MerCruiser 4.3L and coupled with an Alpha drive this boat is turnkey and ready for the water. 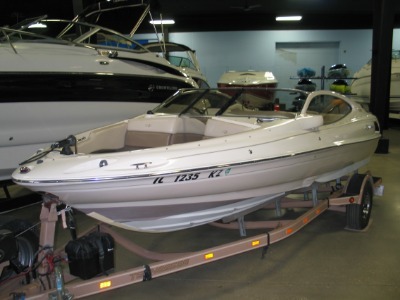 Come see this clean family boat in our year round climate controlled showroom.